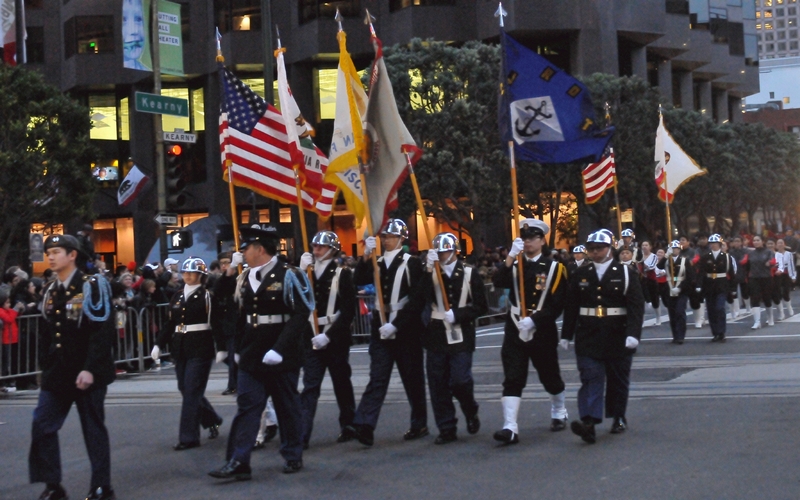 The Junior Reserve Officers' Training Corps (JROTC) carried official flags for the country, state, city, and local organizations. Half way through the parade the fatigue set in and flags were carried at relaxed angles. 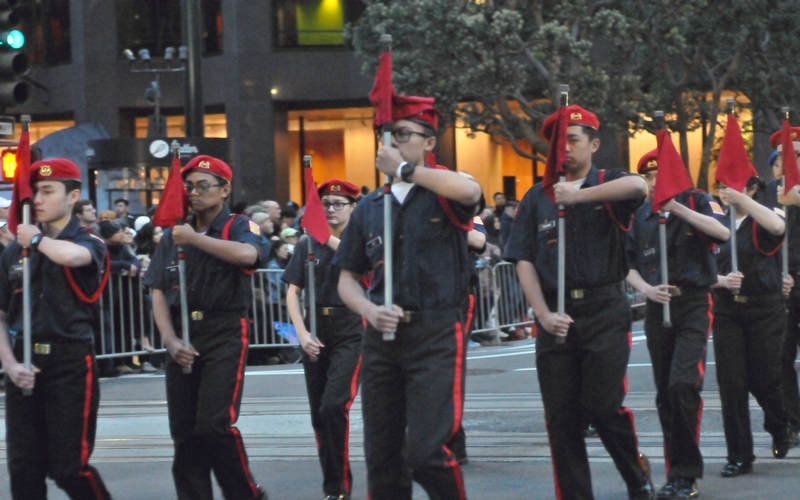 Others with the Junior Reserve Officers' Training Corps (JROTC) carried small red flags. 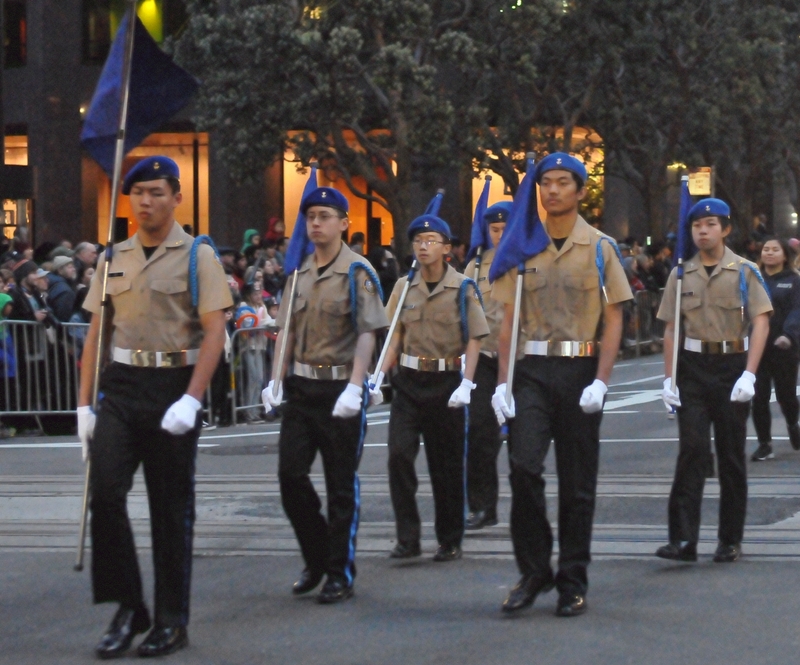 The Burton High School Naval Junior Reserve Officers' Training Corps (NJROTC) carried small blue flags. 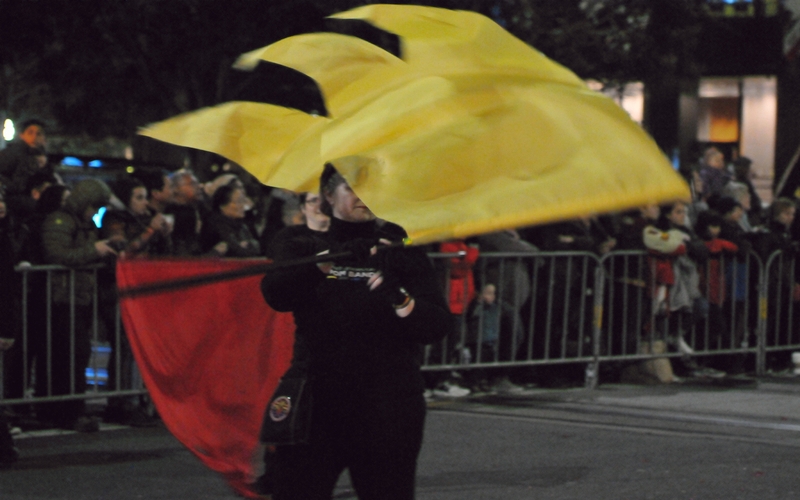 A member of the San Francisco Lesbian/Gay Freedom Band spun two large and fancy flags.